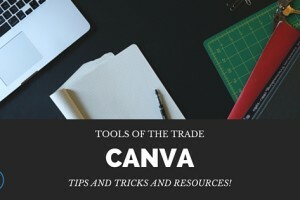 In our first installment of our new Tools of the Trade series on the Engaged Video blog, I showed you Canva – a fantastic tool to make super simple graphics for your blogs, social media channels, infographics and more. 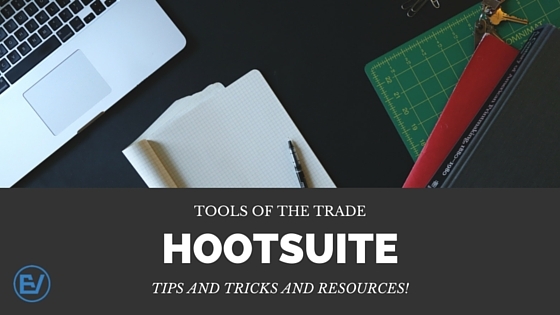 This week, I’m taking a look at Hootsuite. You may have heard of Hootsuite before. It was created in 2008 and quickly gained popularity. Besides having an adorable logo (I won’t lie, I’m a total sucker for owls), Hootsuite is a social media management tool that makes my social media management life incredibly simple. 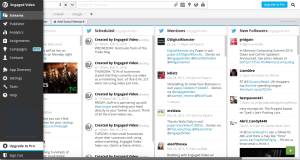 Hootsuite allows you to integrate all of your social media platforms and manage them from one place. 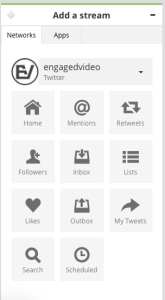 It organizes feeds like Twitter, Facebook, LinkedIn and others in a dashboard format with tabs for each. By connecting your feeds to Hootsuite, you can quickly see what your new followers are tweeting about or new mentions, read messages sent to your company’s Facebook page and more. But the best part? Hootsuite enables you to schedule updates days ahead to keep your posting consistent. Obviously, the biggest part of “social media” is the “social” part, so I don’t just schedule posts and ignore our pages for the week. But having the ability to find meaningful content that will matter to our audience and take a few minutes to schedule a week’s worth of posts frees me up to actively engage with our followers. It also allows you to set up custom hashtag and keyword searches for powerful social media monitoring to key into trending topics that are important to your brand without having to do tons of independent searches. Once you set up your keyword search, for instance, it stays on your dashboard for you to check as often as you need. Oh, and did I mention? Hootsuite is free. 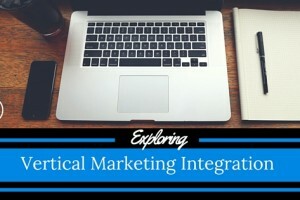 There are some features, such as really in-depth analytics that require a monthly subscription but the core features like drafting and scheduling posts and social media monitoring is included in the free version. Creating an account is as simple as entering your email and password and you’re ready to start connecting your feeds. Just click to add a social network and follow the prompts. You have many different options for the kind of engagement you want to monitor, and that’s what I love about it. Everything is all in one place, and you can choose the most effective way to monitor your feeds that will work best for you and your organization. So there you have it! I recommend Hootsuite to everyone. It’s simple to use and makes it so easy to consistently post to your social channels. And you can’t argue with a cute owl. I think it’s against the law. Are there any tools that you use daily that you think we should check out? Leave a comment below and let us know! We’ll give it a look and feature it here on the blog. 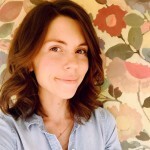 Alesea is a graduate of Arizona State University with a Bachelor’s degree in history. Previously Alesea spent two years in the IT world, in a sales and marketing capacity where she interacted closely with clients and assisted with social media management. She’s currently serving as New Media Intern for Engaged Video in addition to her role as Marketing Assistant at the Arizona Opera. Alesea is a skilled writer and researcher, thanks to many late nights in the library researching term papers. 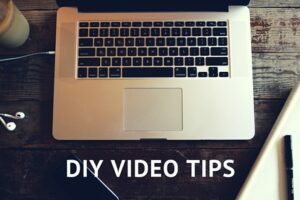 In addition to writing and curating content, she also assists in management of Engaged Video's social channels. She also brews a mean cup of tea. So, there’s that.